Baby’s are a huge blessing, but having one will cost a lot of money. Here are some tips perfect for Preparing Financially for Baby . This is a sponsored post on behalf of UHC. However, All opinions are 100% mine. Babies are such a blessing! They bring so much happiness to a family. However, for many having a baby may be stressful because of the financial aspect of having to pay for so many things like hospital, insurance and more. Thankfully, if you plan it right it doesn’t have to be! It can be pricey ,but if you prepare yourself there doesn’t have to be crazy surprises at the end when it’s all said and done! 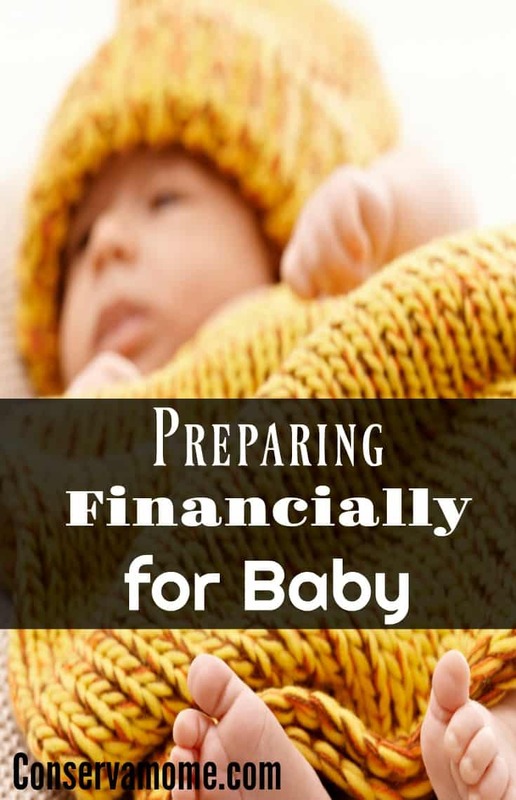 So here are some tips to help in Preparing Financially for Baby. The most important thing to remember is no matter how much you plan you’ll never be ready for a baby, however these are things you can do to help cushion some of the financial aspects of having a baby. 1.Understand your health insurance and anticipate costs. Having a baby is expensive, even when you have health insurance. You should head over to your insurance and find out how much you should anticipate to pay for all the medical expenses that you will face. United healthcare has a great tool to help you figure that out. By doing so you can help alleviate some unexpected costs that may come from having a baby and help you plan. 2. Make a Budget. Even though you have an idea of the anticipated costs ,it’s important to make sure you have an idea and set a certain budget up to help with the financial costs of this new little person. Setting money aside every month will help you when baby arrives. Since you’ll have about 7-9 months to prepare it should be enough time to make a good solid budget and have set aside money for a rainy day or for hospital expenses. 3. Know what services will be covered: There are many things that won’t be covered and many that will when your baby is born so make sure and check out what you will be responsible for. Many Insurance companies don’t cover Circumcision or Hospital Stays for parents if the baby has to stay longer than mom. So make sure and see what your insurance will cover. Also become familiar with terms like Deductible, PCP more! 4.Make sure you have an in network pediatrician for your baby. Sure there are great doctors out there but are they in your network? Make sure and ask friends about their favorite doctor then head to your insurance provider to see if they’re in network. There are many tools to help you find the perfect doctor along with reviews. 5. Don’t stress. I know it’s easier said than done and the first thing you will probably want to do is stress, but if you follow a budget and keep in mind the expenses, a baby shouldn’t be a daunting financially hardship most worry it will be. Take it from me a mom of 5! Because it can get pricey and there’s so much to consider, UHC wants to make it easy for you! So check out these great tips. After checking them out make sure and head below to enter for your chance at a $50 Amazon Gift card! UHC has put together some fun games,videos and more to help you learn more about various aspects of healthcare you might not know about, in the process you can win big! One lucky winner will have a chance to win one . So head below and enter for your chance to win. Giveaway open to US only and ends on 9/30 at 11:59pm EST. Good luck! I haven’t had any unexpected bills. Getting bills from doctors I did NOT EVER see and never met. And being told to shut up about it or risk getting billed. My father had the same thing happen to him when he was in the hospital: Every doctor who walked past his room signed his chart. Our lawyer told us that if we complained the insurance wouldn’t pay and we’d be billed- so the doctors and the hospitals were able to cheat the insurance companies out of tens of thousands of dollars. Criminals. Sometimes when you are in the hospital, you get bills from specialists you don’t even remember seeing! I got sick a while back and had to have a bunch of tests run. The bills were expensive. I had to wear a heart monitor for a month….received a statement from the insurance company…$7,200. I’m still waiting for the final bill. Just can’t think about it…Now if that bill doesn’t cause someone to have heart issues, I don’t know what would. The most frequent unexpected health cost we deal with is glasses for the kids. Even though their insurance pays for one pair a year, I end up buying at least 2 extra pairs to replace their broken ones every year. I have two boys in glasses. Vet bills. I had to eventually have my cat put down but I did everything that I could do to help her before doing that. I broke my hand badly, an we ended up paying out the nose for it. It was an unexpected expense. I had fallen on the ice. Last November, I went to the ER at a newer hospital in our area that was supposed to be the best. Well, I wasn’t impressed with the staff or the big bill they sent us a month later. I’m still paying them with monthly checks and I hope to have it finally paid off by the end of this year! I had a heart attack, the widow maker. I didn’t plan it and there was no warning. It was a large expense. One unexpected cost is when my husband had a heart attack and the next day was to go in to have a cyst removed. The cyst removal was postponed for 6 weeks due to a blood thinner since he has a stent. We hadn’t even gotten the bill for his heart problems when the supposed ‘cyst’ was diagnosed as cancer. The bill for the first was 50K, the cyst removal, 1K , the cancer surgery 100K+ and then add meds and radiology for 30 treatments… needless to say we just send payments to 4 different places every single month, We should have it paid off by the time we are dead. Maybe. Last year was horrible. Took me 25 tries to get the quiz to take my answers and my info. FRUSTRATING. Bad programming on their site. It took me 18 times to get the quiz to give me an entry. I started doing physical therapy and had not realized how expensive the cost would be. I see a specialist and had some blood work done. I asked what they were testing for and they said it was just routine, general tests. I had paid company’s for that type of test in the past and knew it wasn’t cheap, but I was shocked when our part of the bill came (yes, we have “good” insurance) and I owed over $2,000. I’m still in the process of reviewing the price with my doctor and insurance company. Hopefully, our share will go down. Fingers crossed. My husband had to have emergency back surgery for his sciatica (sp?) when he couldn’t even walk standing straight up. My youngest son took a spill and gashed open his eyebrow…6 stitches later in the ER and the bills just filtered in! emergency surgery after my colon was nicked in a “routine” procedure to determine why I was having pelvic pain, I was in the hospital during Christmas and New Year’s. I almost died. One unexpected cost was for kidney stones. There is no skipping hospital when it’s bad. Hospital accepted insurance but doctor in emergency room did not! Undisclosed costs from a nursing facility. Definitely an ambulance bill from a car accident. Yikes! Ambulance bill for my daughter, it was terrible..
What is one unexpected health cost you’ve ever had? I’ve had a lot of unexpected health costs. Especially when my husband had problems with Kidney stones and needed surgery. Wow! I’ve been able to enter each one on the first try for two straight days now. The we had to pay for a back brace after a minor back injury! We had a fairly long stay for an asthma attack. We didn’t even know he had asthma before that so it was quite a surprise. I have to go to the mental hospital frequently, and my conditions are getting worse with age. I wasn’t aware I was going to have to go to the hospital that much plus sometimes I have to go in an ambulance and almost every time before I get admitted into the behavioral health unit I have to go to a normal emergency room to see a regular doctor and I also have to see a therapist once a week and a psychiatrist once a month.. I wasn’t expecting any of that. $4,000 deductible, plus a percentage after that, for our new baby’s birth and my prenatal care, due by 36 weeks. We found out one month earlier. ??? I had a big dental bill once. A broken arm while roller skating with the kids was one unexpected (perhaps) healthcare cost. When my twins were born they flow them by helicopter medical services to a hospital that had a to a hospital with a Neonatal Intensive Care Unit (NICU)….that was an unexpected health cost and a huge surprise, we were expecting 1 big boy and had 2 girls!! The cost for a bandage being $3. Having an emergency surgery done. I have a serious case of Asthma, when I went in with a Asthma attack they ended up giving me a couple breathing treatments and a shot of Prednisone and three hours later I went home. I didn’t have any insurance and I received a bill in the mail for 28 thousand dollars. To this day I owe about 140 thousand dollars in medical bills. I now have medical that really helps….. I stand up for the flag I stand up against violence. For the most part we have been pretty lucky on this front… only once did we receive a statement from a radiologist that we weren’t expecting – because he was out of network & there really wasn’t much we do do about that. When my son was born he was a preemie & ended up in the NICU. 6 days later he had meningitis. I was NOT even in the slightest imagining THAT medical bill! My last 2 pregnancies were very unexpected! My hubby hurt his knee a few years back. Besides all of the bills he wasn’t able to work. Very costly! My most expensive, unexpected medical cost was my appendectomy. The cost of my rx vitamins for my Fibromyalgia and migraines. All my other rx’s are $1, these were a lot more than that, for vitamins! I have actually not had an unexpected Health cost for me or my Family! We have always had excellent health care and dental coverage. We always made sure we were covered for any type of misshape. I Can’t imagine not having coverage that didn’t cover everything! A prenatal lab draw that was supposed to be covered 100% by my insurance, but because my obgyn’s office didn’submit my required paperwork beforehand, it became an almost yearlong ordeal with me talking to my insurance, the doctor’s office, and the lab company. Finally the lab company dismissed my bill, so the only cost was my time, but I’d like to get back those countless hours spent on the phone. When my son was in the 6th grade, joined the wrestling team & blew his knee out 6 wks before the end of the yr. We had a huge deductible & it had not been met. Neeless to say he had to have knee surgery, months of therapy, & had to have his knee in this machine for 12 hrs a day for 6 wks. Expensive!! I was shocked to have a “new patient fee” that was never mentioned to me. I guess I should have assumed and asked beforehand but I figured any fees would be listed in my paperwork or explained before my first visit. My gastroenterologist prescribed a medicine that was not covered by my insurance. An ambulance ride for emergency surgery that was not covered. When I had to have exploratory surgery. I don’t have one, and I hope to keep it that way.. The homebirth midwife will be the biggest expense next time! Used clothign and toys, breastmilk, cloth diapers already used on two kids (I’m sure they’ll wear out at some point, but have already saved us thousands so that’s OK). Getting diagnosed w/ MS at age 31–there have been many unexpected expenses over the years! When they raised my Remicade infusion from $200 to $500 every 6 weeks. OUCH! Having something get in my eye and having to go to the emergency room. An unexpected healthcare cost I have had was when I broke my finger while playing tag on cross country skis. I had not met my deductible and the doctor’s visit was $300! Hubby sinus surgery!! We got random bills from everywhere! !